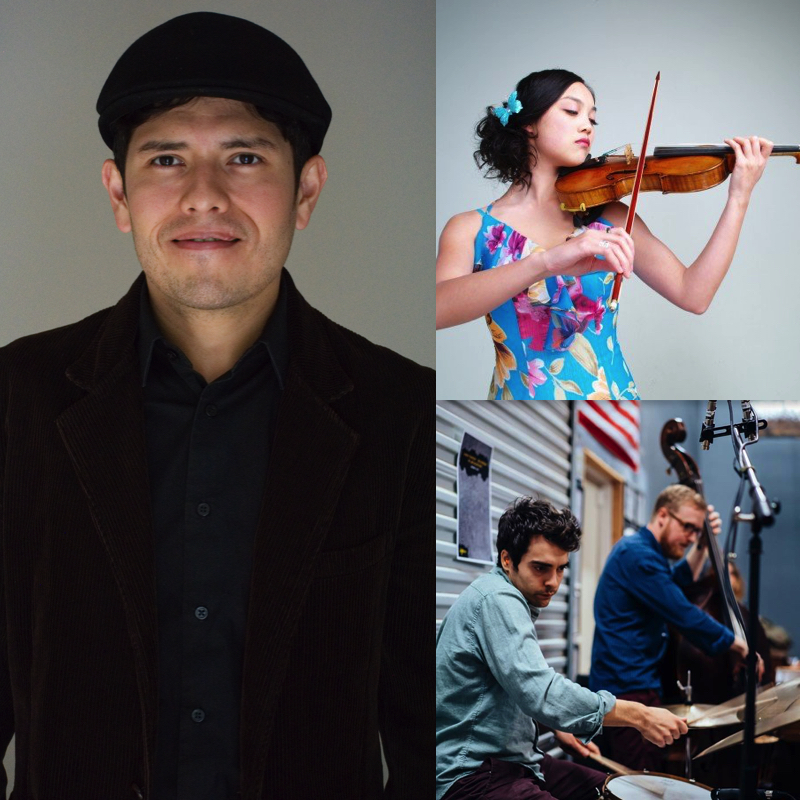 Led by composer-guitarist Alan Retamozo, Slant Ensemble draws from an open/rotating group of Austin performers exploring the fusion of fully notated forms, lead sheet realization, and "inside" and "free" improvisation within cohesive forms. Using standard jazz and classical chamber groups (quartet and string trio) Motion Series explores the merging of fully notated forms, lead sheet realization, and both “inside” and “free” improvisation. It features various soloists throughout as well as ensemble interplay and improvisational elements in small groups. Parts of Motion Series explore the triple diminished compositional approach – a twelve-tone process for composition/improvisation created by Yusef Lateef and further explored by contemporary composer/percussionist Adam Rudolph. Alan Retamozo and Slant Ensemble premiere original composition, "Fall", at New Media Art and Sound Summit 2017 - Austin, TX. "Distance" performed at NMASS 2017 - Austin, TX.